It is no secret that car accidents happen a lot, but many people do not realize how many serious injuries these accidents cause. According to the Centers for Disease Control and Prevention, injuries from car accidents are the leading cause of death for people ages 1-34. 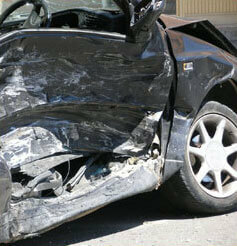 If you or some you love has been injured in an accident, you need an experienced car accident lawyer on your side. At Dixon Law Office, we fight for the rights of injured people and their families. 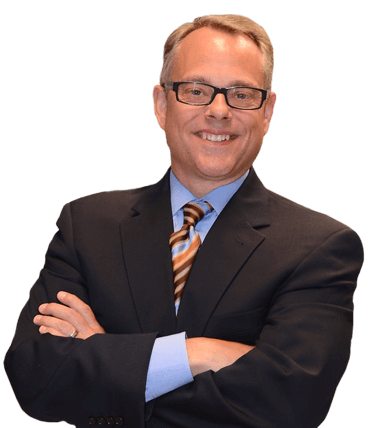 Attorney Grant Dixon has 19 years of experience practicing personal injury law. He works closely with clients, personally handling each case. For a free consultation, please call (888) 354-9880 or contact us online. A car accident can happen anywhere, but intersections and highways are especially common sites. High-speed and head-on collisions usually cause catastrophic injury or death; these accidents are often the result of drunk or distracted driving. In an effort to reduce distracted driving accidents, Chicago passed a law stating that drivers must wear headsets when using a cell phone. In Illinois, a recent law makes it illegal to text or e-mail while driving. A top car accident attorney can help! These injuries may result in disability or a lifetime of pain. We will seek compensation for medical bills, long-term care, lost income, pain and suffering, and other related expenses. In wrongful death cases, we seek additional damages for funeral expenses, emotional trauma and financial support for the family. Car accident attorneys can help you and your loved ones get the justice and compensation that you deserve when you have been hurt or injured due to the negligence of others. First, get the medical attention you need. Secondly report the accident to the appropriate authorities, get witness names and take pictures if you can. Then after all of that stuff is done contact a competent attorney to help you. If My Uber or Lyft Driver Crashes – Who Is Responsible? If there is a crash involving Uber or Lyft almost always the driver is at fault, but there are circumstances in which the company itself is responsible. Those companies do sometimes try to avoid this responsible. We at Dixon Law Office will investigate your claim and try and hold those people responsible, and if they have done something wrong we will help you get the compensation you deserve. What If Something On The Road Causes A Crash? We would need to understand all of the specifics, but for example if there was a pothole that caused damage to your car often times the municipality is responsible for repairing your car. Most people don’t know that. Who Is Responsible For Accidents Caused By Poor Weather? It really depends – driver’s in car accidents are responsible for driving according to the weather conditions. When it is wet or snowy outside, we are supposed to drive slower, but many times people don’t – they ignore the weather conditions and keep on going. Please call our office at (888) 354-9880 to schedule an appointment with our car accident lawyers today.